February’s Blind Dine will be held at Fort Brewery & Pizza – February 16th, 2 to 4 pm. 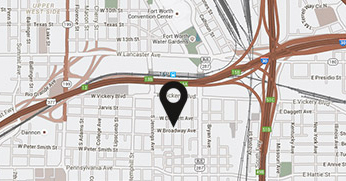 Fort Brewery & Pizza is located at 1001 W. Magnolia Ave, Fort Worth, TX 76104. Come out and enjoy great food & friends! We will have a low vision and Braille menu available on site. For more info, contact skeen@lighthousefw.org or call 817-332-3341.